One of the best things about being a financial planner is getting to interact with so many different people each day. We care a lot about our clients, and we do our best to build strong relationships with them. We learn as much as we can about their families, their goals and their challenges. We want to see them happy and successful. But this is life. Things happen — a sudden need for long-term care, for example, or an untimely death — and families struggle to cope with unexpected challenges. They’re left bewildered, wondering, “Now what do we do?” People can feel almost paralyzed because they don’t know where to begin. Does your family know enough about your finances to make any necessary decisions? Do they know about all of the investment accounts and life insurance policies that you and your spouse own? Do they know which advisors you’re working with? Too often, one spouse handles all financial matters and fails to communicate to the other what would need to be done if he or she were not there. Get acquainted with what to do if your partner dies or becomes incapacitated. Make sure your children know whom to contact for information about your finances. Doing so will avoid an enormous amount of stress. During an already difficult time, you don’t want your family having to figure out how to make a life insurance claim or get pension survivor benefits. Families deserve a chance to grieve without the weight of such things. Do I have a POD (payable on death) listed for my bank account? Do I have primary and contingent beneficiaries listed for my 401(k) account? Do I have a TOD (transfer on death) listed for my brokerage account? It doesn’t stop there. Beneficiaries, both primary and contingent, should be listed on certificates of deposit, life insurance policies and all varieties of IRAs, just to name a few. Further, make sure that your beneficiaries are listed properly, especially if your children have children. Don’t assume that your assets will be split the way you wish unless you have clear documentation in place. Give your family concrete, step-by-step instructions for what to do, where to look and whom to contact in the event you are no longer around. It may be prudent to consult with an estate planning attorney about creating a trust to make sure your wishes are carried out after death. By working with an advisor before anything unfortunate happens, you have a relationship in place that your family can lean on when they need help the most. I recently experienced this with a client who lost her husband. In this instance, we had done ample planning, and I met with her adult children months before they lost their father. When the time came to make beneficiary claims, we already knew about every account, we knew whom to contact, and, in many cases, we already had the forms they needed to complete. Being proactive saved time and energy for the family. You can be proactive, too, whether or not you are working with an advisor. 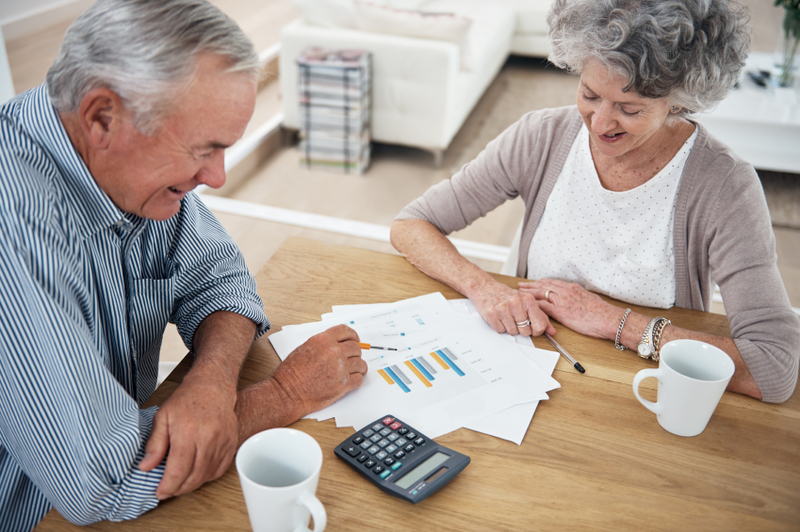 It may be unpleasant to think about some of these “now what?” events, but it’s imperative to keep your finances in order to ease the burden on loved ones when life is in disorder.